Home of Suidplaas Dohnes - Genetics for profit, since 1972. 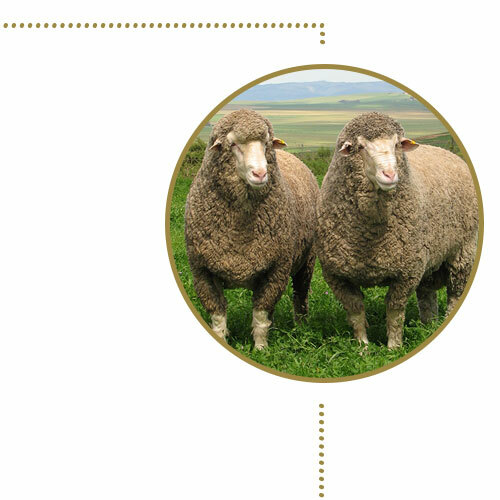 We breed record-breaking Dohne Merinos for sheep breeders. Here at Suidplaas Dohnes, we focus on genetics. That’s how we have managed to grow our commercial Dohne Merino sheep stud into one of the most productive in the country. The Suidplaas Dohne Stud is also the largest Dohne Merino stud in South Africa. 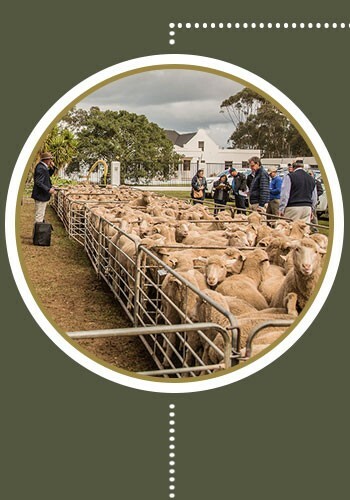 And every year, we host the biggest Dohne ram sale in the southern hemisphere. Here Dohne breeders from across South Africa and the world travel to the Overberg, near the most southerly tip of Africa, to choose from our wide selection of Dohnes. Suidplaas Dohnes has the most registered ewes in the country. And because of this, we can apply stricter selection criteria. Our animals undergo strict selection for fertility under natural conditions. The average lambing percentage of 149% has been maintained over the past 8 years. And we select based on quality, looking for fine merino wool with the emphasis on length. In fact, the flock’s total wool clip averages 19.7 microns. In 2000, we partnered with Mt Alma in South Australia. We provided the Dohne Merino embryos to Mt Alma, starting our daughter stud in this country. Since 2006, Mt Alma has already achieved the highest average price at on-property sales in Australia on four occasions. Annually they sell more than 500 rams. And for 6 years in a row, have held the highest average ram price in Australia. As Suidplaas Dohnes grows, so does our reach. We are now partnering with Dohne Merino breeders in South America, to help build productive, profitable Dohne studs. Since 2003, Suidplaas Dohnes has attained the South African record price on 5 occasions, and the world record price twice. And Suidplaas Dohnes has won the South African Breeder of the Year 4 times since 2000. Our Dohne stud started in 1972, when Overberg farmer Jan du Toit bought registered ewes from the Loch Lynne and Okinawa studs to our farm near the southernmost tip of Africa. Over the years, the Du Toits have followed strict breeding and selection criteria. Today, Wynand du Toit continues where his father left off: using genetics to continue to grow South Africa’s most productive Dohne stud – and to partner with Dohne breeders around the world. www.suidplaasdohnes.co.za © 2019. All Rights Reserved. Website crafted with care and maintained by LoveGreen.